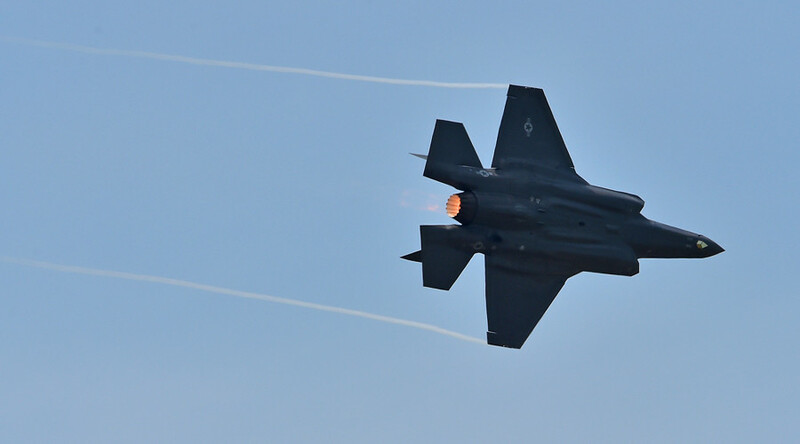 F-35 fighter jet pilots at the Luke Air Force Base in Arizona continue to experience unexplained symptoms of hypoxia, or oxygen deprivation, months after the world’s most expensive weapons system was grounded with similar issues. Five incidents of pilots suffering from hypoxia-like symptoms were reported at Luke in May and early June, which forced the US Air Force to ground the Lockheed Martin-made aircraft. Since flights resumed late June, there have been an additional five cases of pilots experiencing tingling fingers and other signs of hypoxia, Aviation Week reports. This was despite pilots being instructed to avoid high altitudes and ground procedures being modified to reduce the risk, an air force press release read. Between 2006 and 2016, there were only 10 incidents of similar physiological episodes reported for F-3As. In 2017, there have been 10 incidents so far, according to the F-35 Joint Program Office records. The F-35As appear to be more susceptible to the issue than other versions of the jet. Between 2006 and 2017, there have been 29 incidents recorded across all F-35s, with 20 of those occurring in F-35As, four in the Marine Corps’ F-35B jets and five with the F-35C. In the latest incidents, the pilots were able to recover the aircraft, Col. Ben Bishop told Aviation Week. Researchers remain unable to find the cause of the problem. They aren’t sure if the symptoms experienced are due to hypoxia, or a different physiological state that creates the same kind of issues, such as hypercapnia, caused by high levels of carbon dioxide, or toxins in the blood. In June, they ruled out aircraft maintenance issues or problems with the jet’s equipment. Bishop said test results showed the F-35’s Onboard Oxygen Generation System had no problems producing enough oxygen, but that the team is looking at ways the algorithm could be altered to deliver oxygen at a steadier rate. "Our Active Duty, reserve, and international team have worked tirelessly to better understand the physiological events,” Brig. Gen. Brook Leonard, the 56th Fighter Wing commander, said in June. "This is a complex challenge that necessitates multidimensional solutions across a series of steps to get back to a full operating capability." The F-35 previously had issues with its ejector seat posing a risk of neck injury to pilots, with dummies’ necks snapping during testing. Luke Air Force Base is the primary pilot-training facility for the fighter aircraft.